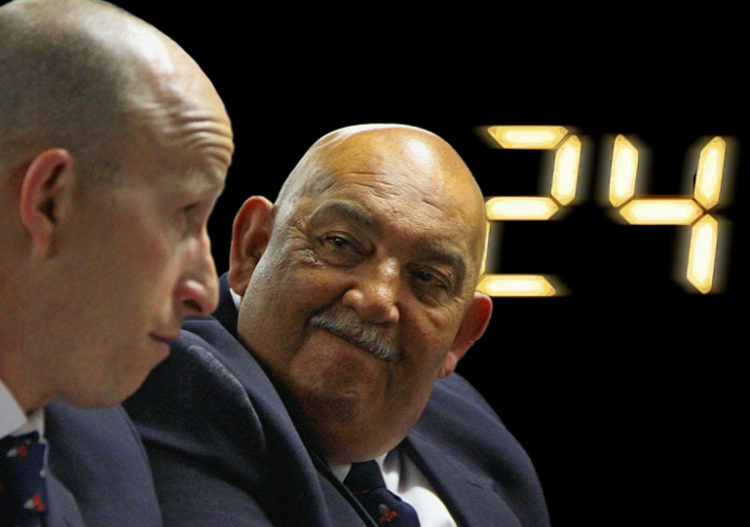 As you read this, the clock is ticking on the Western Province Rugby Union (WPRU). By Friday, they need to either register a mortgage bond as security for loans solicited from Remgro in 2016, totalling nearly R44-million, or the corporate giant could demand its money back inside five business days. The law firm ENSafrica, who represent Remgro, sent a letter of demand dated 7 June to the General Council of the WPRU – via president Thelo Wakefield and chief executive Paul Zacks – demanding that WP sign bond registration documents on some of their immovable property by 6 July. Remgro agreed to advance the following sums towards the end of 2016 to keep WP afloat amid the crisis that saw their professional arm WP Rugby (Pty) ultimately liquidated: R7,51-million agreed on 3 November, another R7,51-million on 24 November and R19-million on 22 December. Those were the loans to the WPRU. Then, also on 22 December, there was an advance of R9,88-million to Newco – the new entity that rose from the ashes of WP Rugby (Pty) Ltd.
That adds up to R43,9-million on which interest at prime rate has been accruing, so the sum is by now considerably higher. What Remgro wants is not unreasonable. In fact, they aren’t even demanding their money overnight. They just want WP to offer security for the loan by registering a mortgage bond in their favour. The WPRU owns some prime property in Cape Town and its southern suburbs, so the union will have no difficulty registering a bond. Remember, it’s WP’s professional arm that was liquidated, not the union. In terms of assets, WP is comfortably the wealthiest rugby union in South Africa. WP would, however, prefer to pay the loan with the money they will get from a possible equity partner and are believed to be in negotiations. But ‘negotiations’ don’t pay the bills and Remgro could make this coming Monday a particularly blue one for WP. To offer perspective on just how blue: The letter from ENSafrica claims that WP acknowledged in November 2016 that Remgro have the right to demand repayment within five business days. In addition, they claim that the union had committed to registering a mortgage bond as security for the loan. If WP don’t do this by 6 July, Remgro will use “every legal remedy at its disposal” to recoup the money. So the next two Fridays will be interesting. This coming one is the deadline and, if WP have not adhered, they may have to pay back the money by next Friday if Remgro immediately demand the money back on five days’ notice. If WP fail to adhere to the terms, then “every legal remedy” is the next step. Assuming everything is on paper, Remgro can go to the High Court to enforce the agreement and/or issue a summons against the union to cough up the money. The rumour is that WP are now looking at developing their properties to yield income. There is much they can do with Newlands if they move to the Cape Town Stadium, and word is they are also aiming to develop residential units at Brookside in Claremont. However, you don’t just wake up one morning and decide that you will develop property overnight. The bottom line is that WP really need that white knight in the form of an equity partner. And, of course, that partner would still have to be approved by the South African Rugby Union’s (Saru) executive committee. These are turbulent times for WP, exacerbated by the Stormers’ poor performance in this year’s Super Rugby competition. Even if the WP leadership want to give Stormers coach Robbie Fleck the chop, one wonders whether they have the cashflow to pay out his contract. In the background, Aerios are also lurking. To refresh your memory, they are the company that lost out big time through the liquidation of WP (Pty) Ltd.
Aerios held advertising rights at Newlands and believe the liquidation was an unethical move by WP to wriggle their way out of a disastrous business deal. And Aerios don’t have any intention of going away. Whether they will ultimately succeed in squeezing the many millions they want from WP remains to be seen, but they are a pain in the backside for the union. For all those who scream incompetence at WP’s leadership, it’s worth pointing out that the other big unions have financial issues of their own. The Sharks don’t own their stadium and are struggling to make ends meet. The Blue Bulls have for the past two years come to Saru’s annual general meeting with a plan to climb out of the financial doldrums based on tabling a motion to change the governing body’s constitution that equity partners should be allowed to own 100% shares in unions. And the Golden Lions are reliant on the money of investor Altmann Allers. The difference is that only WP are facing a Friday deadline. And, quite possibly, a very blue Monday. As usual the Lions are the most stale, go figure. As for WP sack every one of the administrators they have been woeful forever. They can start by reducing Wakefield’s entertainment budget, should save a few million. I agree with you. Yes start cleaning up from the top downwards. Problems normally starts at top management. Correction, ‘stale’ should read ‘stable’. Freudian slip, lol. Cheers. It’s actually quite simple. If your franchise plays good rugby it will attract investment, which brings money. WP and the Sharks will need to change their coaching staff and get some stability on that front. Fleck and Du Preez just don’t cut it as coaches. Mitchell is busy changing the culture at the Bulls, which might take a season or two. The loss of the Ackermann’s definitely affected the Lions, together with their players being poached. They do however have a good club culture and coaching, which is crucial to the success of their rugby team. Yes, the Lions are short of a gallop this year, but they should be back to their successful ways next year. It would be good if the rest of SA could follow suit. Sharky, I’m speaking as a Sharks supporter. We lost our consistency ever since John Plumtree left and John Smit started with his chummy-chummy appointments. Our entire team is full of superstars, but our entire season is so damn inconsistent. That rests with the coaching staff, in my opinion. If we have the right coaches, there’s no team in Super Rugby that can beat us. Unfortunately I don’t think Robert du Preez Sr. can cut it. We lack consistency. How does a team go from winning 3 out of 4 against the NZ sides (2 mins away from 4) and then losing to the Bulls (home and away), Rebels and Brumbies. Yes, we have a young side and an inexperienced coach. Any side that can beat the Lions, Highlanders, Chiefs and nearly the Hurricanes deserves some credit. However, we need to be more consistent! Yup, lots of people had a problem with Plum, and I agree that DuP (with less than 8 years of coaching experience) maybe shouldn’t be in the driving seat of a Super Rugby franchise. I mean his coaching CV doesn’t include any other major appointments – he’s coached the Crusaders (Durban club), College Rovers (also a Durbs club), the Leopards and Pukke. I don’t know why SA SUper Rugby sides settle for coaches who are unproven at top-flight rugby. So even though I don’t think that he’s bad, I wouldn’t totally disagree with you on DuP. However our management isn’t anywhere near as bad at WP and doesn’t warrant us being mentioned in the same breath as them on that front. And I’d have DuP over Fleck any day of the week. John, WP management is definitely, quantifiably worse than the Sharks’. The Sharks’ management hasn’t been able to run up a R50-plus million debt, had to liquidate their professional arm and play hide-and-seek with creditors. And if you’re right, and the Stormers “generate way more revenue than the Sharks do”, that’s just a further indictment of the mismanagement at WP – with more revenue they’re still going bust. But I don’t think you’re right. According to Stuff.co.za Newlands attendance has dropped by 29.90% since 2015 while Kings Park attendance has dropped by 4.42%. Maybe you can dig up some official attendance stats…? That said, the current crop of SA Super Rugby coaches aren’t that spectacular and neither DuP nor Flack would be on my wish list. Sharky you have won 6 and the Stormers 5 and I have a feeling it is going to be 6 all after this weekend. So how does that make DuP better than Fleck? Management wise is also debatable. I don’t see fans going to the stadium in Durban in their droves. In fact I’d have it a bet that the Stormers generate way more revenue than the Sharks do. Bye bye Newlands. Bye bye Kings Park. Bye bye Kings Park? Why? The Sharks still have 50-odd years on their lease of Kings Park. Why on earth would they move anywhere? They also have a better stadium across the road that they could use. Break the thing down and build flats I say. Nick, you quote the scribe verbatim, but the comments made about the Sharks are unsupported and are therefore not worth debating! There is firm news about the Bulls and Province, yet most of the guns here are aimed at the Sharks. Perhaps this is more to do with the past weekends results, rather than prudent governance! Yes, the Moses Mabhida Stadium COULD have been a great new home for the Sharks. But dispute the Sharks’ willingness to work with planners during the design of the new stadium (and the Sharks also submitting a proposal to rather upgrade Kings Park at a fraction of the cost) the powers that be decided in their wisdom to totally disregard the Sharks’ suggestions. The result is a stadium that is better suited to cricket than rugby and which is by no means a “better” rugby venue than Kings Park. So despite the city trying to strong-arm the Sharks into moving (they’ve been leaning on the Sharks for years with various threats including traffic restrictions on match days) the Sharks have no intention of moving and no motivation to do so. Sharky, Two points here. First your comment on the drop in crowd attendance between the two stadiums is not the real picture. It depends on your base figures. In other words if Newlands started with an average attendance of 30.000 and now have an average of 21.000, a drop of 30% and Kings Park averaged 20.000 ( a bit of a stretch,lol ) and dropped 5%, to R19000 they still attract less fans than Newlands in terms of bums on seats. Either way the fans are long suffering and have suffered greatly at the hands of their administrators and coaches. I can even understand your jubilation at finally beating the Lions for a change, lol. Secondly, no mention of the dour game plan employed by both Franchises these past few years despite the Lions showing them the way four years ago. That’s what brings bums on seats. Even Saturday’s ‘ victory’ against the Lions was based on the old dom krag master plan, defend defend, defend and hope for the best. It worked for a change but those wins are too few and far between to bring home the bacon. You need to urgently look at the coaching situation though. Anyway good luck going forward and especially against the Jaguares. Cheers. You’re first point is moot – if my doubts are correct who cares, and if you’re right it just underlines how poor WP administrators are. I somewhat agree with your second point. Pretty rugby is great, but SA’s strength is a forward-orientated game. I’d love to see more running rugby, but I’d also prefer to win. But the moment we aren’t seeing either! In my opinion the problem lies with the schools. For too long we’ve seen schoolboy rugby rely on big Afrikaans boys running through people. That, coupled with a decent kicker, is pretty much what we see throughout the top SA schools. And that’s fine – it works at schoolboy level – our schoolboy teams routinely beat the top NZ schools. But the problem arises a few years down the drag when the rest catch up in size. In the professional game Dutch genes aren’t enough – everybody is big, everybody lives in the gym and everybody is on a strictly regimented diet. So what have our boys got to fall back on? Nothing! Because during their foundation years they’ve been relying on their size and not developing their skills – or at least not the extent required to keep up with the likes of NZ. The solution – I am convinced that if we move to a “weight group” rather than “age group” structure in our schools (like NZ do) and only allow all weights to play together at u18 level then we will see boys being forced to develop their skills further and learning to rely on more than their size. Sharky, I agree with the dom crag aspect entirely. Although that doesn’t apply to all schools. My grandsons go to Bishops and Rondebosch and the open game is encouraged. They even have practice games where if a ball carrier is tackled and goes to ground he is replaced for a few minutes.This is to teach skilled offloading, quick thinking etc and not dying with the ball. The longer we continue this ‘size is every thing’ attitude the longer our woes will continue. Another generation may even be lost already. Cheers. Sharky. That’s a fair and viable comment from a sharks point of view. It’s old news that t eich inherited a 40 mil dept after smity took ‘early retirement’. If that problem is solved I’m thrilled to hear it. What the sharks want and what the bills add up to may not see eye to eye. Our unions are utterly reliant on sponsors. Not sure of the size of the debt that Teich inherited, but I do know that steps were taken to improve the situation and over the past 6 months things are getting better. Or so say people I know within the union. Can’t say the same for WP. “What the sharks want and what the bills add up to may not see eye to eye.” True, The Sharks may want all sorts of things, but the bottom line is that moving stadia wouldn’t improve the financial situation. In fact it would probably worsen it – see my comment above. It is all a catch 22 situation I am afraid. Improved on-field performances = more interest from investors (ala Lions the last few seasons). BUT, to achieve improved performances, WP needs better coaches which they can’t afford. Never ending circle, because even if they sell Newlands, they owe so much money it just won’t make much difference. The only way forward, in my opinion, is to make Flek the Currie Cup Coach to get some experience at a slightly easier level and appoint John Dobson as the SR coach with Flek as an assistant. Excuse my naivety but in the age of a professional game why can’t unions be privatised and subject to a commission rather than governed by, from what I can see, an amateur model? Because that would cause the government to do its nut and blame it all on apartheid. As it is WP rugby has become “top-heavy” with the “previously disadvantaged” that have entrenched themselves and their cronies like a parasite throughout all their structures. In short it is the same virulent disease that has affected all of South Africa and as can be seen by the current drive to dispossess all land and hand it over to the state, deeply entrenched in a Marxist mindset. There is no cure and sooner or later all here will just have to accept that South African rugby much like the country its based in, is a terminal patient gasping its last few futile breaths. SweetAz . Seeing ‘reds under the bed’ as the cause of the financial difficulties SA pro rugby faces is misguided. You could just as well be describing the way the old system of ‘amateur’ rugby worked in sa in the same way by changing a few terms..
Is it a Marxist plot that crowds are not turning out to games or that big sponsors are harder to find in the current economic climate? I completely disagree that ‘previously disadvantaged’ people, as you describe them, are somehow to blame. That is a factually unsupportable and destructive understanding imo. Its simple Nick, communism in the USSR failed because a meritocracy was seen as being unfair to the “masses”. South Africa demonstrates the same mindset with its continued application of BEE as evidenced by the collapse of every single parastatal and the decimation of its infrastructure and the present drive to dispossess land. You can see it every time you turn on a TV and hear government ministers addressing each other as “comrade”. This embracing and promotion of mediocrity manifests in people like the fat ou at WP and others being allowed to continue when its obvious to all and sundry they not capable of being successful of winning anything other than a pie eating contest. MERITOCRACY is the only way people will return to games and big sponsors will open their wallets,—–nobody likes a loser, especially when you can see they are losing because of stupidity. The kind of stupidity that would hire a coach like Alistair Coetzee and expect him to take the Boks to number one in the world. So it’s because of ‘Communism’/BEE? This is really interesting. Please explain further. Sorry mate, I cant help you, unfortunately you seem to be a victim of the Dunning-Kruger effect. Thanks for the effort sweetaz, just pulling your leg, you’ve already said everything required to describe your particular world view. Don’t let me ruin your fun!